The Depot Nottingham was once again the proud host of Blocbuster last weekend, and with over 200 competitors through the door, it was even bigger and better than before! 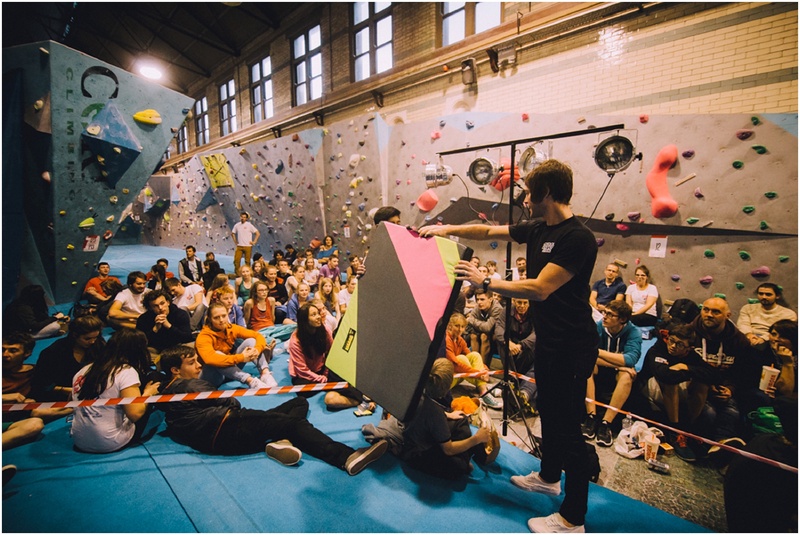 Routesetters Archie Cameron-Blackie, Rob Haigh, and Alex Fry worked tirelessly through Friday to create a host of innovative, cunning, and deceptive problems for the competitors to do battle with. Specially imported holds from a variety of top manufacturers such as SoIll, Kingdom, Wataaah, Axis, Lapis, Bleaustone and more, meant that the setters were able to bring something new to the competition which many of the competitors had never seen before in the UK. 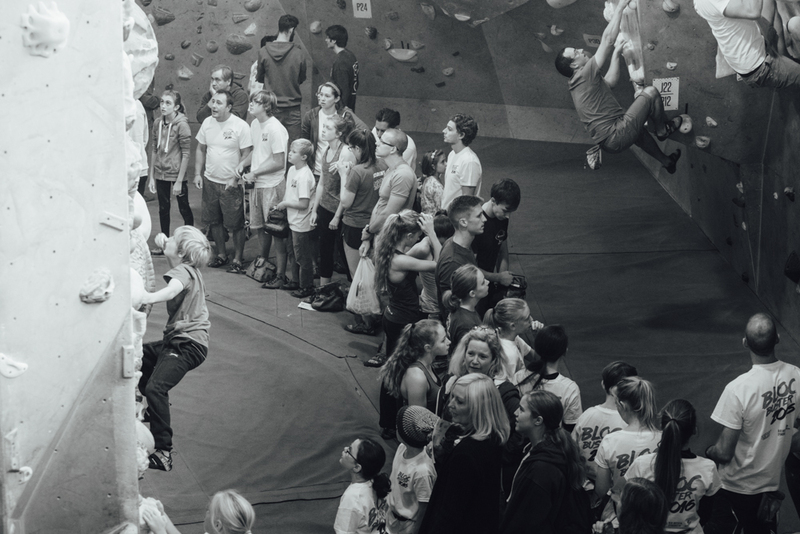 As Saturday morning rolled in, the competitors rolled up, and a host of excited faces entered the Depot - Some for the first time, some as regular customers, and some as team members for the various climbing walls around the country. Qualifiers progressed quickly as each competitor had only 3 attempts per problem, and despite the large number of people in the centre, no one had to wait too long for a climb. Before the competition we weren’t too sure who to expect at the top of the leader board, but as we started to get the scorecards back in, the winners of the junior/veteran categories became clear, and top athletes in the male and female open categories floated up the lists. With the athletes in isolation for the final, all the other attendants were able to enjoy some super tasty meals from Liberty Kitchen Food and get involved in the raffle! With all the presentations done, we moved onto the open finals. Qualifying for the final was no easy feat, with 30 hard boulders, and a horde of top GB and ex GB team members roaming around the centre. Men’s 1 was the showboat dyno problem of the finals. Big holds, a long way apart. Pretty much every competitor struggled, with some just failing to get the distance. After the dyno came a tricky mantle to match on a sliver of resin high on the wall. Women’s 1 utilised the bright blue HRT hexagon volumes at the start to rock up into a sidepull and then through a series of edges to a high rollover move to a jug. Men’s 2 featured a hard press into a gaston, followed by couple of slopey holds, and a tricky heel hook to reach the last hold, while the Women’s problem was a physical affair revolving around a slopey pinch in the middle of the wall. Men’s 3 really separated the pack, with only the strongest even turning the lip of the comp wall roof! Unfortunately, the top moves proved too much within the time limit, and none of the men managed to reach the finishing holds. Women’s 3 was a bit of a marathon through the roof at the end of the day. Featuring the full range of holds, from roof jugs, to pinches, crimps and slopers over the lip. The Female finalists were tested to the end, and once all was accounted for, we had our winner! As always - a huge thanks to our main sponsor - Scarpa, and we can't wait to see you all again next year!